So, the other day I was cooking a lentil stew and had all my ingredients neatly arranged on the counter. (Since we have to keep our pantry and refrigerator locked, it’s easier to get everything out in one trip.) I was carefully following along with the recipe. Sautéed the carrots, onions, celery and red peppers in two tablespoons of olive oil until the onions softened. Added the diced tomatoes. Added the lentils. Added the vegetable bouillon. Whoops. What happened to the vegetable bouillon? It was sitting right there on the counter nicely wrapped in foil. Looking very much like a piece of gourmet chocolate. I know I put it on the counter. And where was Clay? He had been hanging around watching me cook, eating carrot and onion slices faster than I could chop them. Now he was gone, off somewhere else in the house. I’m not making any accusations. Not naming names. 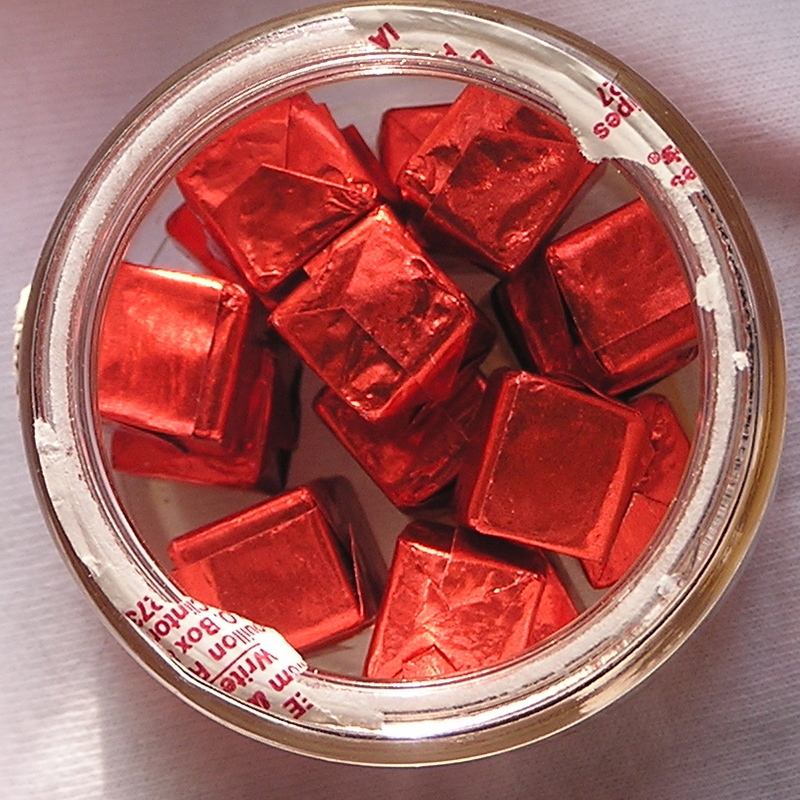 Let’s just say a certain 14-year-old boy disappeared at the same time the bouillon cube did. I searched the house and never did find it. I wonder how it tasted. And what happened to the wrapper? This entry was posted on April 19, 2010, 3:36 pm and is filed under Silly Behaviors. You can follow any responses to this entry through RSS 2.0. You can leave a response, or trackback from your own site.